There I’m reviewing short stories in the Lovecraftian vein, though not HPL’s own stories. I hope to see you there, it’s lots of fun! I’d like to say I haven’t been blogging about reading because I’ve been doing so much reading, but that’s only partly true. Despite many protestations and formal requests, the day has not been lengthened from 24 to 36 hours and thus, not everything can get done. Having a baby sure does reroute your priorities. I’d like to say and write a ton about each of the books I’ve read since last I blogged, especially as some of them are very deserving. But if I try to do that, I just plain won’t get through it. So each of these works will get a sentence or two and then I’ll be caught up so to speak. After The Heroes it’s almost unfair to pick up another fantasy. It just wouldn’t stand up, and indeed, The Blood of Ambrose by James Enge did not. It was very poorly written and did not keep my attention. I gave it the ole 100 page try and then set it aside. Following that I selected a quadrilogy by an author I’d been hearing a lot about in many contexts: Daniel Abraham. I read his Long Price Quartet and really enjoyed it – it had such a new and different flavor to it that even if at times it was a little slow, I enjoyed savoring it. He’s a good writer, great conceiver of characters, and an excellent evoker of place. 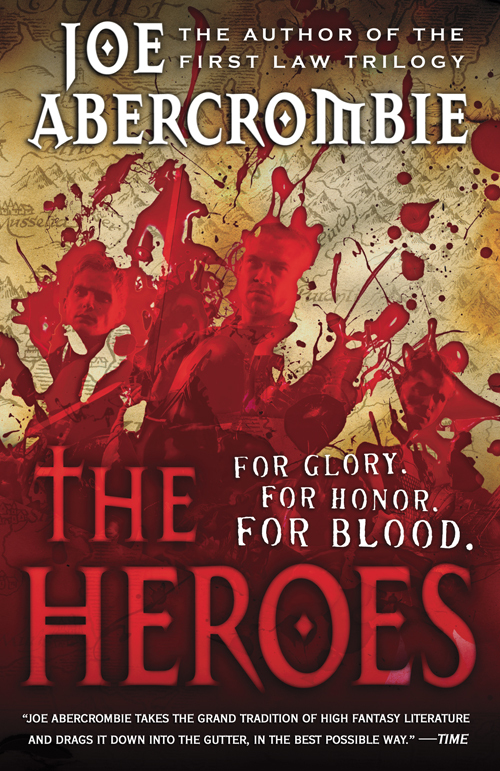 While it’s nothing like Abercrombie’s style, and perhaps because it isn’t, this series stands apart from a lot of fantasy I’ve read. Following that, I picked up a steeply discounted e-book version of Sharps, the new novel by K.J. Parker, and my introduction to the author (whose identity and even gender remain one of the most interesting secrets in fantasy literature!). Loved it. Even if there was no magic (something of a hallmark for the author I take it) Very intelligent writing, but writing that moved and flowed with an unusual grace. I will enjoy reading more from this author, and, as they’re quite prolific, there’s plenty more to read. I departed fantasy for a moment a read a book given me by my mother-in-law: Jonathan Tropper’s This Is Where I Leave You. Laugh out loud, gut-bustingly hilarious. Sadly true. Deeply emotional. A book to give to others, no doubt. And I did. Then I tried N.K. 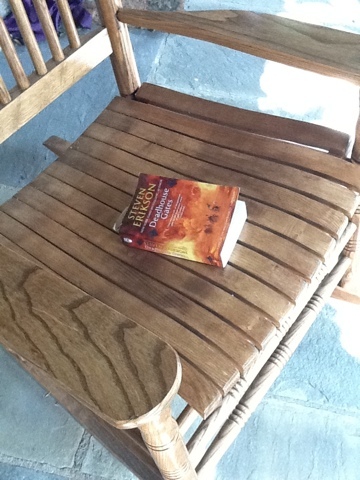 Jemisin’s The Hundred Thousand Kingdoms. Again, been hearing a lot about it and her. While I finished the book, the first of a trilogy, I decided not to pick up the rest of the trilogy. It was below average for me, a little boring, and suffered from the non-use of what I might call the unrealized potential of some of its characters. You can’t write about god-like characters and then have them be impotent to effect change. Maybe this is why I like flawed characters better. Since my friends enjoyed it, and they’re making it into a movie, I picked up World War Z, the zombie mockumentary book. It was, well, just boring. Maybe too much zombie stuff out there right now? I don’t know. Didn’t finish it. Departing from genre fiction again, I read (mostly by candlelight as the power was out for 24 hours because of Hurricane Sandy) Cormac McCarthy’s Blood Meridian. It was boring and hard to follow, not at all like his other books I’ve read. I can see why it was an influence for Abercrombie’s Red Country, but it wasn’t the groundbreaking, award-winning awesome book I was expecting. Then Red Country arrived and I devoured it, like all other Abercrombie works. It was very, very good. But, and I hate to say this, it was not as excellent as I was hoping. Maybe there was too much anticipation, particularly for the return of Logen. Maybe I had elevated Abercrombie to writer-god status and thus was expecting more nectar like The Heroes. There was just something missing – perhaps a greater sense of grandeur like we’ve gotten in his other books. Loved the characters though, especially Dab Sweet and the wizard character who gets about three lines. An Abercrombie work that is not quite up to par with his previous works still blows most other fantasy books out of the water though and this was no exception. A while back I had found a $2 copy of Alex Bell’s Jasmyn, an author Abercrombie recommended. So, not wanting to make the same mistake I made after reading The Heroes, I picked up this more urban/dark fantasy. I have to admit, had he not recommended it, this was a book I likely would never have read. But I am glad I did- it was a good yarn. Not a great one, but fun and different enough to make it an enjoyable read. And now I’ve begun another series. I’m into Book 3 of The Chathrand Voyages series by Robert V.S. Redick. 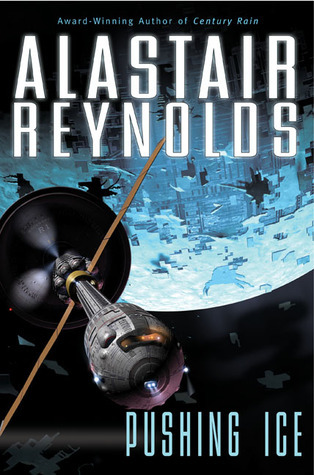 It is excellent so far – a naval fantasy, very unique. I love the world he’s created, the characters he’s birthed, and the singular problem of having the main bad guy be ever present with the protagonists, but with each unable to do anything to the others fora variety of creative and understandable reasons. It doesn’t feel cheap or contrived, it feels frustratingly real. In real life, your enemies rarely live in Mordor. More typically, they are in the same office or the same block as you. Book 2 ended with an amazing cliffhanger – again not one which felt contrived, but well planned and well executed – and so I dove into Book 3. I have to say, this third book took longer to get into than the previous two, but I think it’s going now. And going in some unexpected directions, with very cool things happening in very cool locations. Delightful. Well, I finished Part 1 of Bolano’s 2666 and then put it down. I was not inspired or excited about what I had thus far read, nor was I inspired or excited to continue. I even called a literati friend who I happen to know loved Bolano’s The Savage Detectives. He couldn’t help, having been unable to slog through it himself. That was all I needed to officially table 2666. After that experience, I needed something slightly more fast paced, so I hefted Stephen King’s Under the Dome onto my lap and began to read. 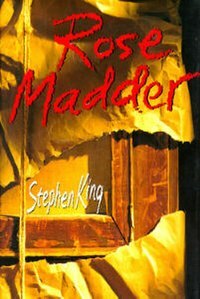 As I do most of Stephen King’s works, I enjoyed it and it moved quickly despite its millenary page count. I really like how he populated a town and then forced them to remain together through the plot device. Very interesting dynamics. Now, some of his characters were larger than life and a little hard to believe, but that was acceptable. The only thing that persistently bothered me during my romp through this tome was the timing. The degeneration of the town took place not over months or even weeks but days. I guess I just have a little more faith in humanity than that. To me, the work would have been strengthened if the time frame had been expanded. There were also some silly little supernatural things which occurred that felt out of place (mostly involving a dog), and there was one very postmodern chapter that was really out of place. In it, a disembodied narrator appeared and flew through the town describing everything that was happening in a summary fashion. It was weird, came out of nowhere, and disappeared just as quickly. You have to wonder if it just got missed by an editor. All in all, though, I think this was one of his better books and his characteristic exploration of character and setting were on full display. Then I read online NPR’s list of the 10 best pieces of fiction for 2011. I felt ashamed – not only had I not read any of them, but I hadn’t even heard of any of them. At least I had heard of one or two of the authors. So, I did an ebook check out of the only one the library had available at that moment, The Illumination, by Kevin Brockmeier. It was very, very good. (The nice thing (or the mean thing) about ebook loans from the library is they force you to read fast, otherwise they just disappear. It’s not even like you could take one more day to finish the book and pay a late fee; they just disappear.) I felt like it was much better at the beginning than at the end, but still it was very good. 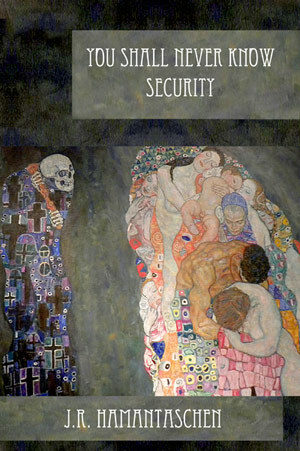 It explored the notion that pain became visible as light and how that affected people. But really it was a story about the characters’ pain. 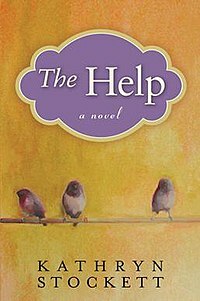 The first section of the book was so damn sad and well written that it almost brought me to tears on more than one occasion. The rest did not have that effect, but it was still a sad book and probably worthy of note for 2011. 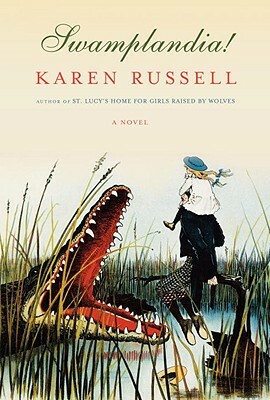 The next book I wanted to read also came from that list, Karen Russell’s Swamplandia!. However, it was checked out and had a 7 person waiting list. I joined the list. This is risky because I could be in the middle of a book when it become available and then I have to decide, do I stop what I’m currently reading, and start that one or do I let it go, only to have to join a long waiting list again. Now I am number 2 on the list, which means, at the max I have 28 days until it is my turn, but those people could be speed readers or not even want it at all and I could have it much, much sooner. I decided to risk it, checked out another book, and will read like crazy. I figure I have at least 3 weeks. The book I checked out was one of China Mieville’s newer ones. A while ago, I gave up on him having not cared for any of his “New Weird” books past Perdido Street Station. (The Scar was a straight rip off from Neal Stephenson’s Snow Crash, and The Iron Council was boring.) But this one seemed different. Kraken is the story of a squid worshiping cult that steals a giant squid carcass from a museum. At least, its about that up to where I am, it may change. But so far, it’s fun.